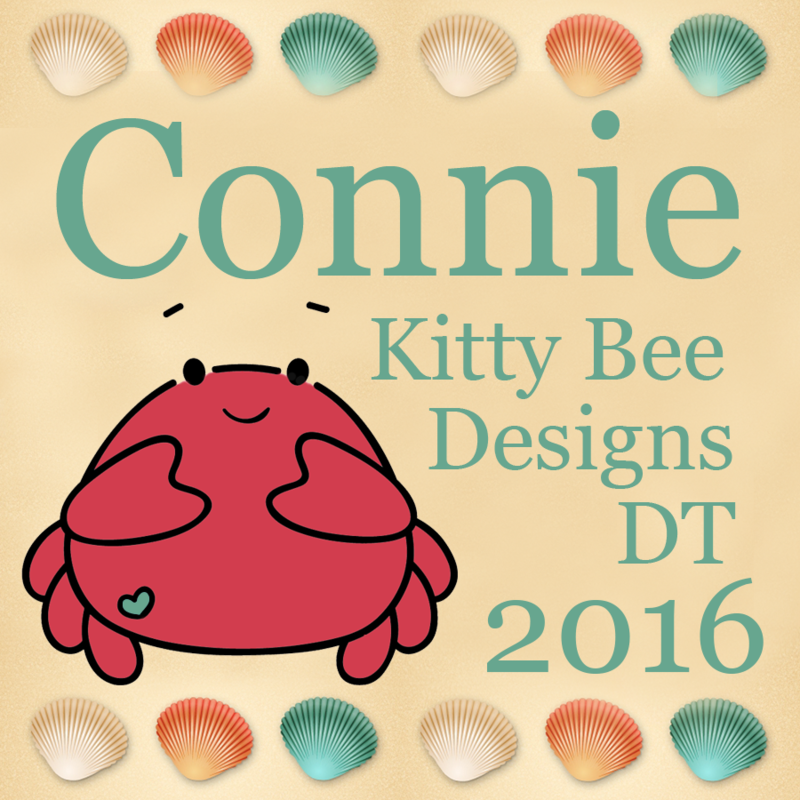 It's Connie here today to share my very first DT project for Cardz TV! 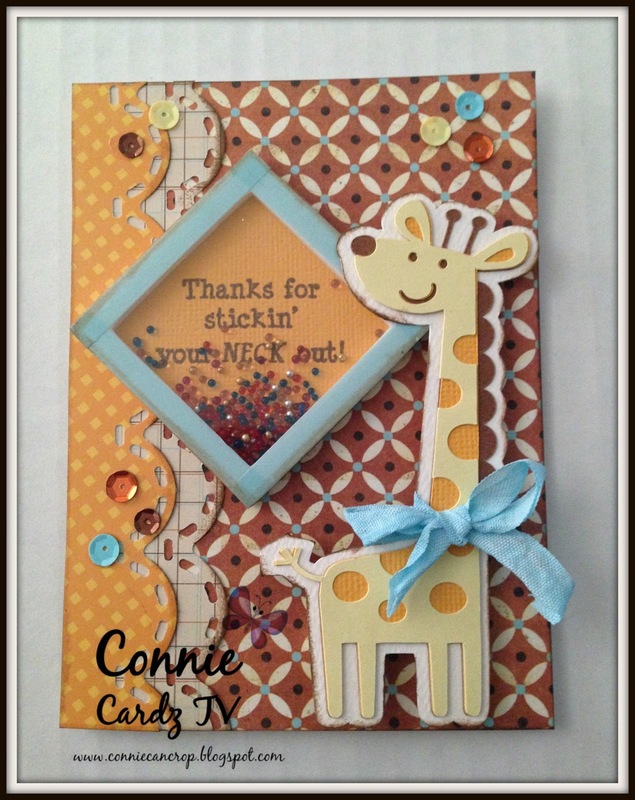 Today is the start of Cardz TV's Anything Goes Challenge and my Giraffe card just seemed perfect to use for today! 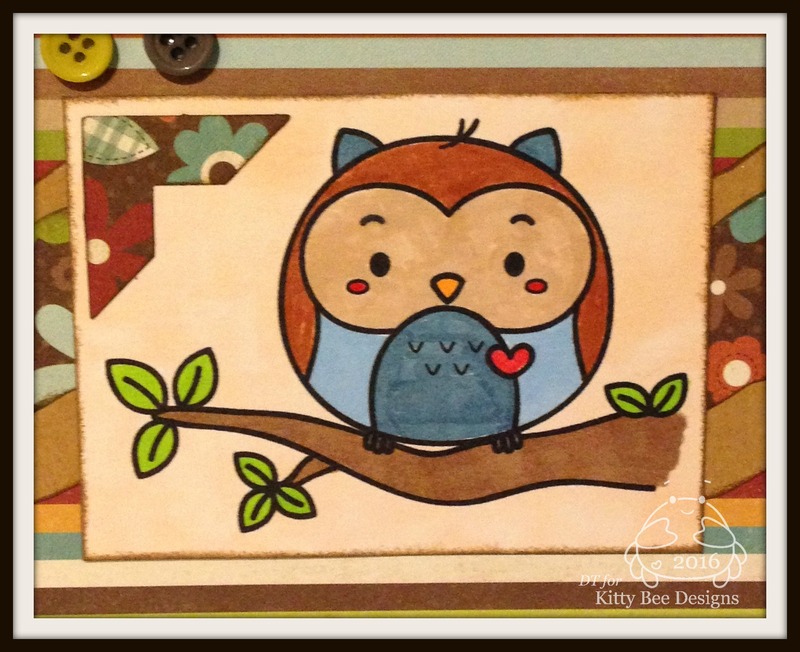 I used Mary's stamp set called Critter Captions! 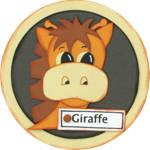 Perfect for this cute Cricut Create a Critter giraffe! I used some foam tape and created a fun shaker box that the sentiment is in. My papers are all scraps from my stash. And rumple ribbon, ink and sequins finishes this off nicely. 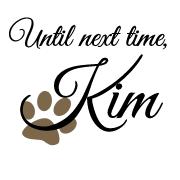 Today is the final day to enter! Hi there! 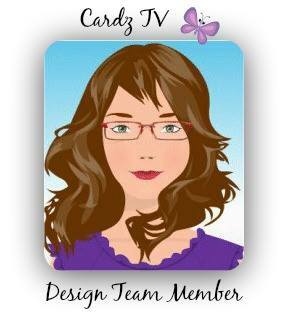 It's Kim from Katydid Cards. 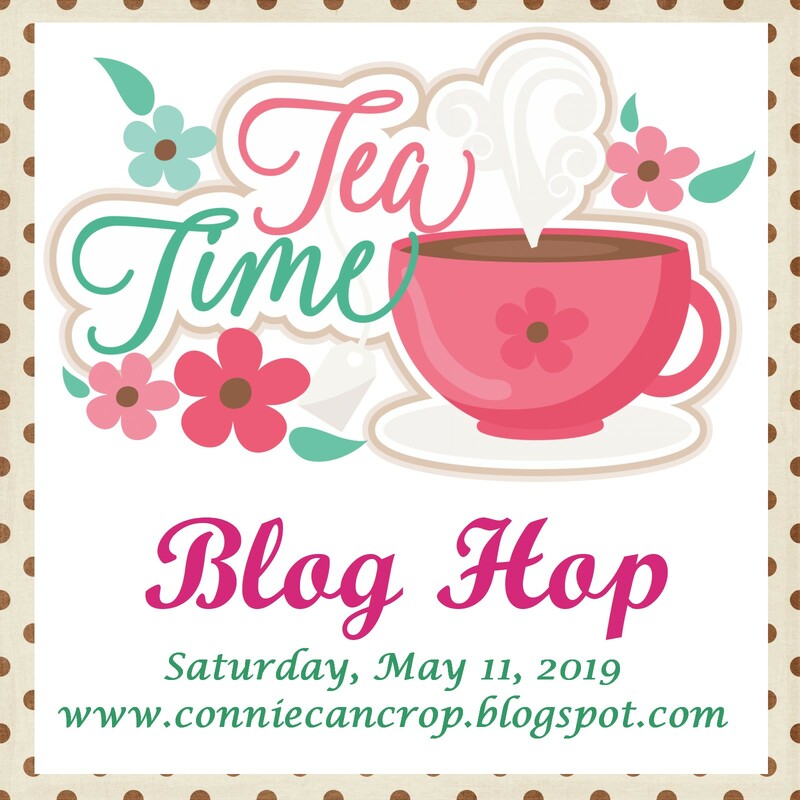 It's one of those months when I get to post twice here at Connie Can Crop. 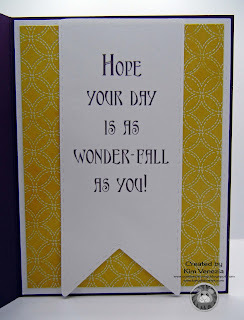 Today I'm sharing another card using files from our sponsor this month, Paper Crafting World. 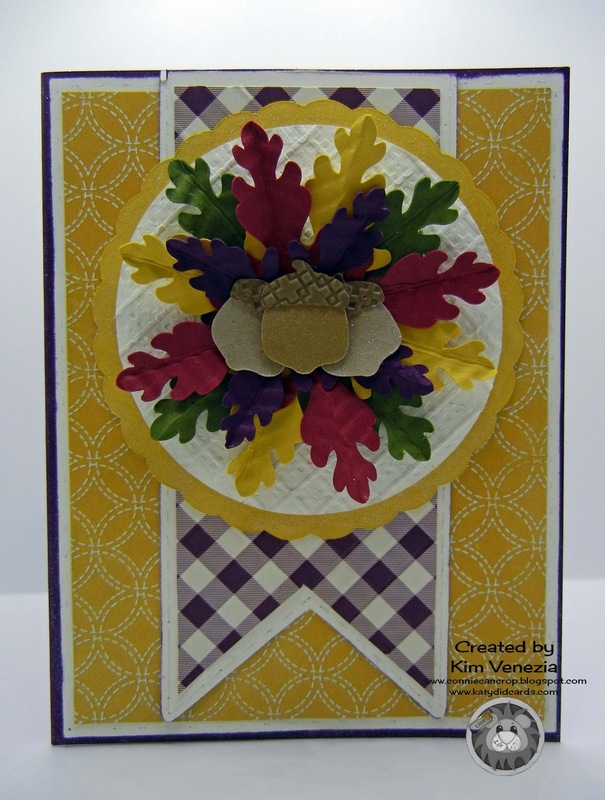 This card combines components from two different cut files, Daisies, Sunflowers and Pennants CF and Cherry Cherries Base CF. 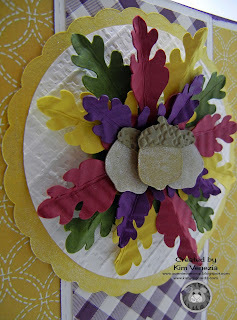 From the first, I used the pennant and mats and the circle and scalloped circle from the second. The Acorns N' Leaves CF was used to make the focal piece. 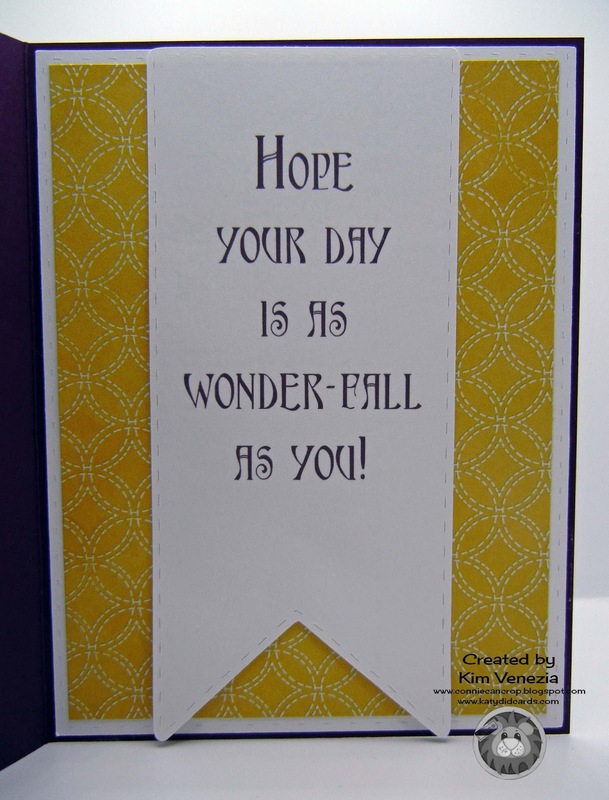 I used Farmers Market DSP and Blackberry Bliss, Hello Honey and Very Vanilla card stock, all from Stampin Up on the card. 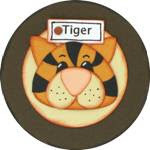 The focal piece was cut from Blackberry Bliss, Cherry Cobbler, Hello Honey and Mossy Meadow. 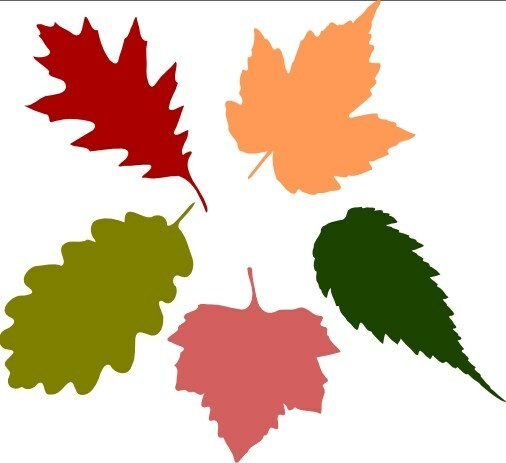 The acorns were cut from scrap, three shades of brown. I created a stitched border on the Very Vanilla mats; just a little bit of detail. 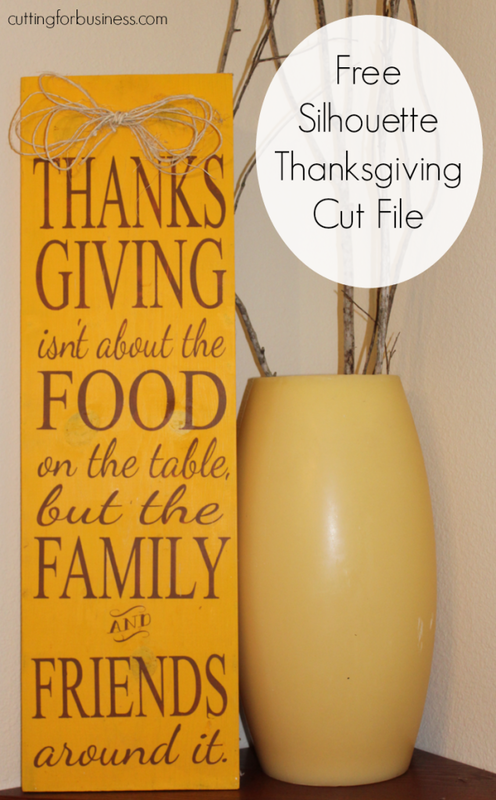 I used my Simply Scored diagonal plate to accentuate the plaid. 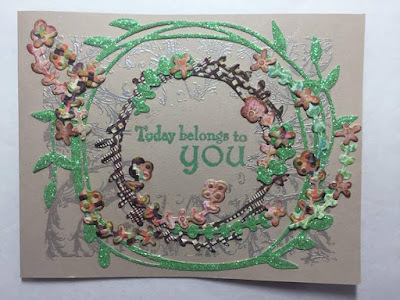 I embossed the circle with the Square Lattice but I didn't like it, so I ran it through the Big Shot again without any embossing folder to flatten out the embossing and then scored using the diagonal plate again. For the leaves, I folded them in half and ran them through a paper crimper. 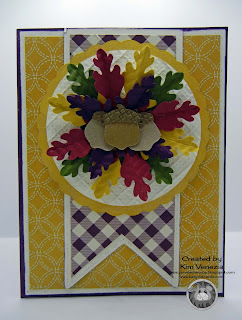 The acorn tops were embossed with the Square Lattice embossing folder. I also coated the acorn bottoms and the scalloped circle with Wink of Stella for a little sparkle. Inside, I borrowed components from the front to create a sentiment. I color matched it to Blackberry Bliss. If I were to do this again, I would opt for another font as I see now it's a bit difficult to read. 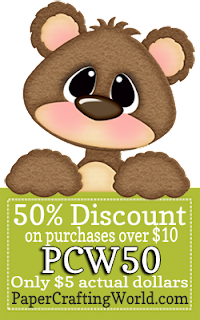 If you like the files you see at Paper Crafting World, you should take advantage of a sale going on now. 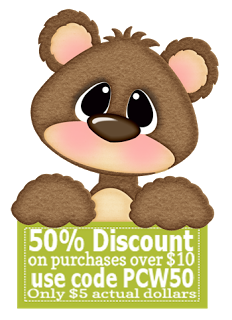 Just click on the image and you'll be directed to the store. And don't forget to enter Connie Can Crop's monthly challenge! 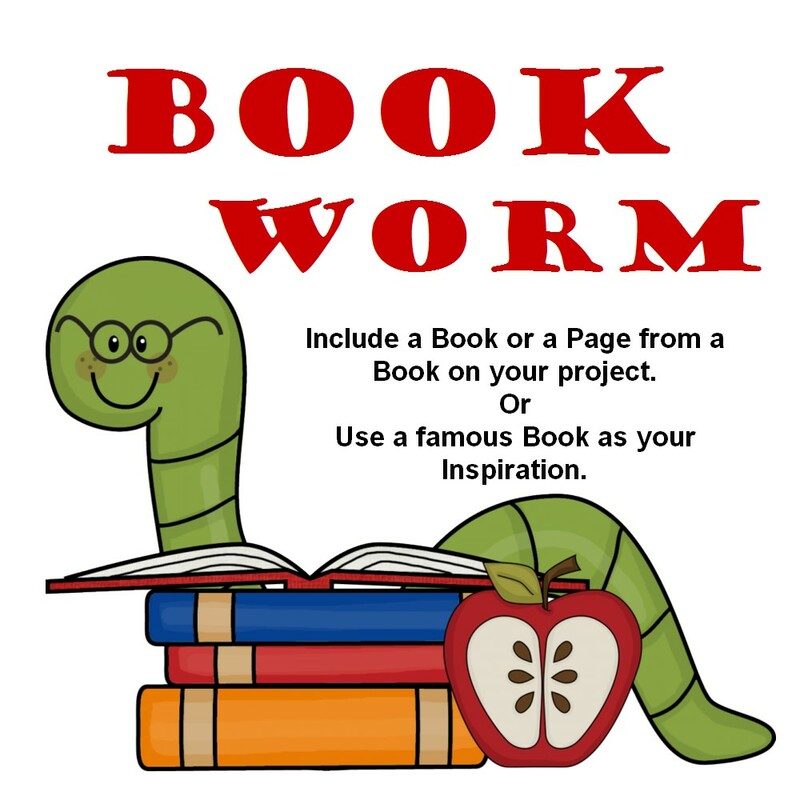 This month it's Book Worm where you are challenged to create a project using a book, a page from a book or inspired by a famous book. 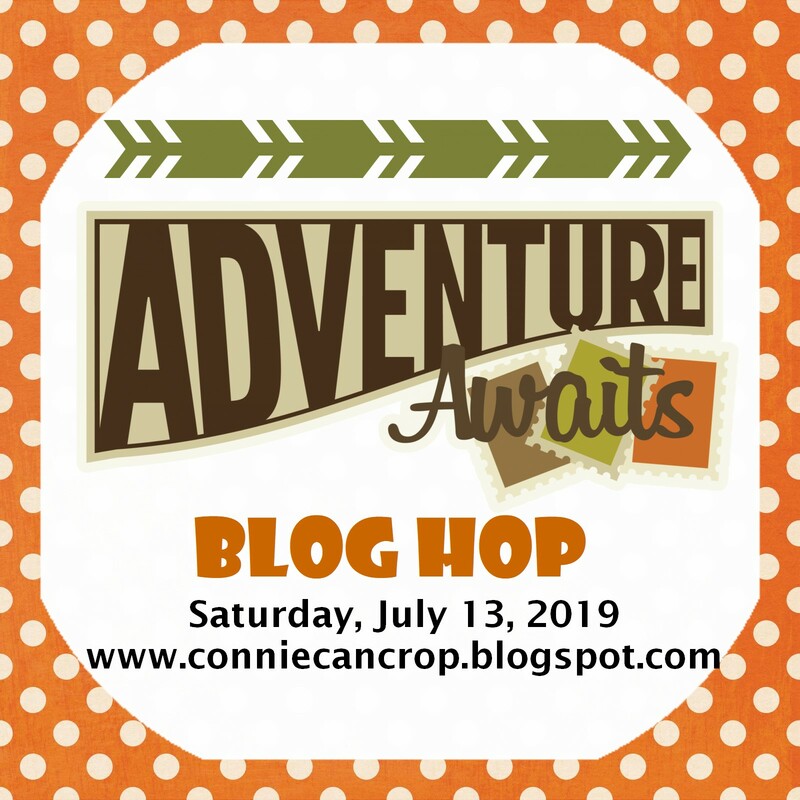 It'll be a lot of fun! 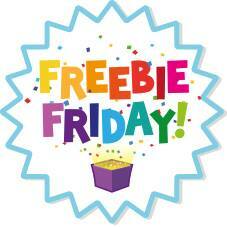 You have until September 30th at 11:59pmPST to enter. 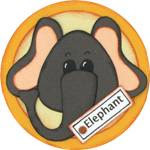 One winner will be picked at random and we will also pick our three favorites and give you a badge for your blog or social media. That's it for me. See you again next month! 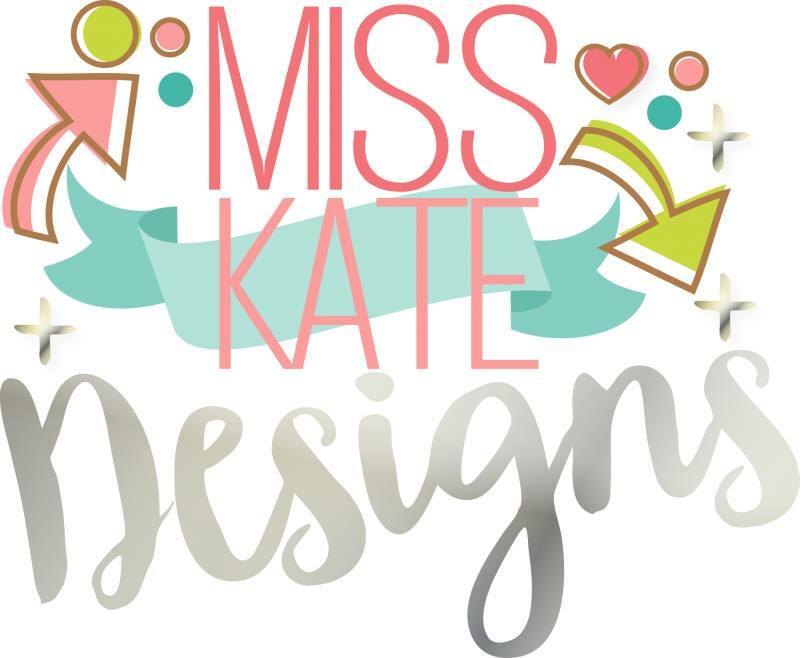 Perhaps you can come visit me at Katydid Cards in the meantime to say hello! Hi there. 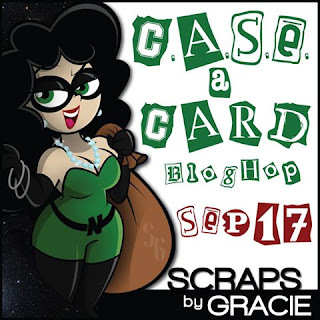 It's Kim from Katydid Cards with another YouTube video for you. 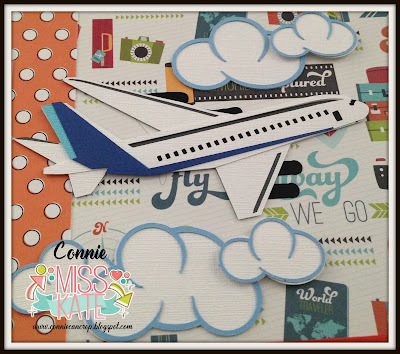 Since our sponsor this month is Paper Crafting World, I thought I would share a video posted by one of their talented Design Team members, Norma. Norma made the most adorable shaker postcard. I had no idea you could do such a thing, but here is her video to prove it can, indeed, be done. I haven't tried this myself yet, but it's definitely on my "to do" list. I don't know about you, but my list keeps getting longer and longer. I need to add more hours to my day or days to my week. If you make one, please let me know and I'll showcase it for you on my blog! In the meantime, we have a great challenge going on this month. 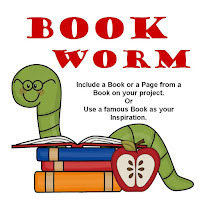 Your project should include a book or a page from a book or use a famous book as your inspiration. Sounds like fun, doesn't it? 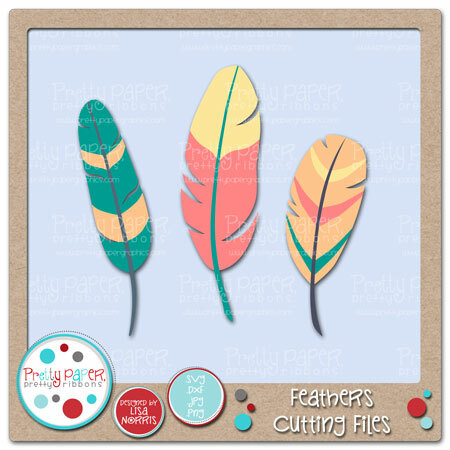 You have until September 30th at 11:59 pm PST to enter and the winner, picked at random, will receive a prize from Paper Crafting World. 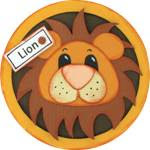 The team will also pick their favorite three you will will receive a badge to post on your blog or social media and bragging rights! 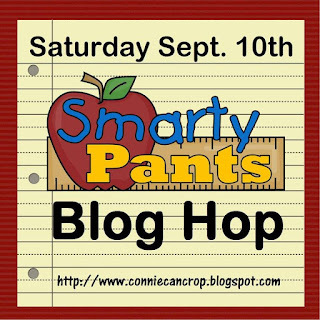 Also, don't forget we have a blog hop coming up on the 10th. 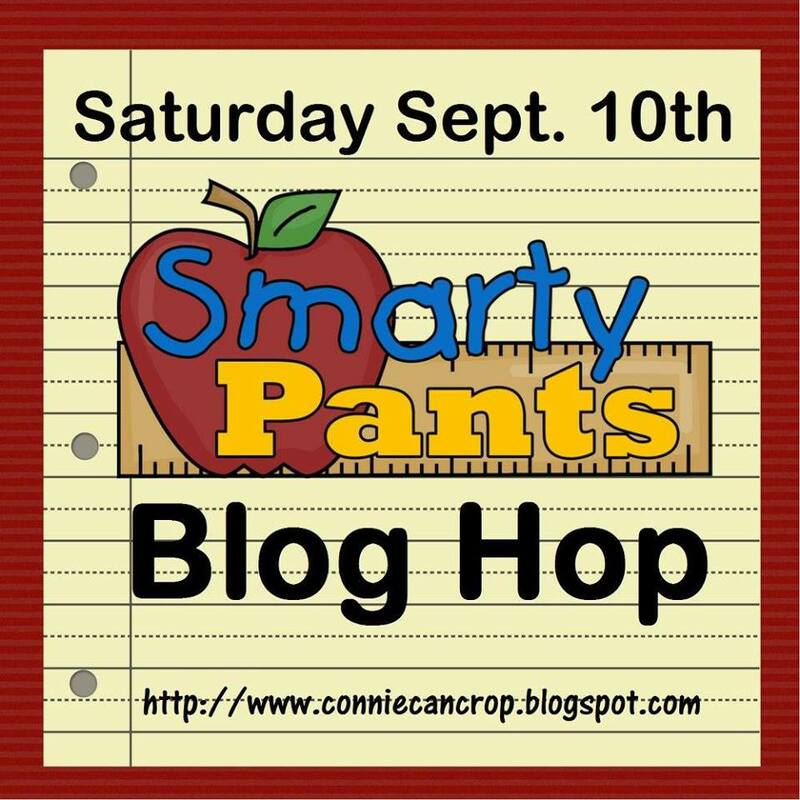 Come hop for great school themed inspiration and comment on each blog for another chance to win. See you later in the month with another video. Please be sure to let me know if there's anything in particular you'd like to see. 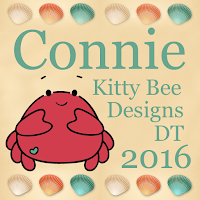 It's Connie here today to share my very first DT Spotlight with Kitty Bee! 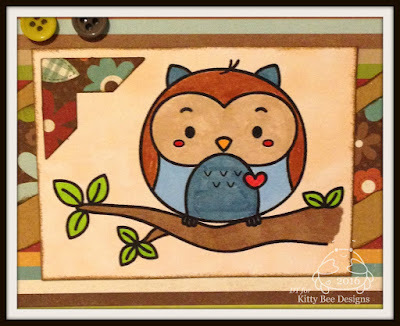 I love owls and fell in love with this sweet image when I saw it. 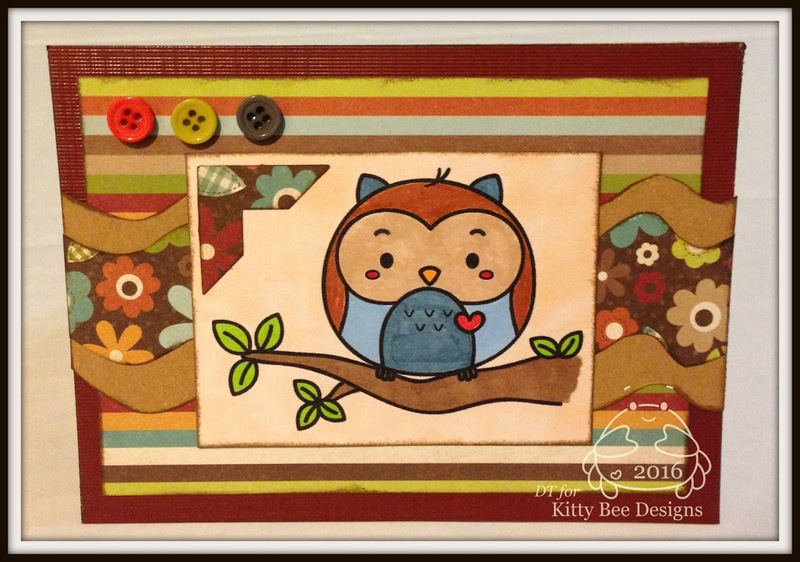 I knew I had to create a fall card using the Kawaii "Hanging Around" Owl Digi Stamp. 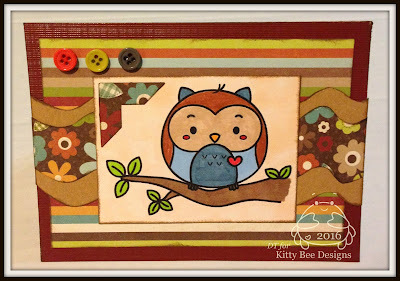 I used Kiwi Lane Templates to create the border running across the card. Hello, this is Veronica from Vicky's Scrapping Passion sharing with you this sketch from the www.bhg.com blogspot. 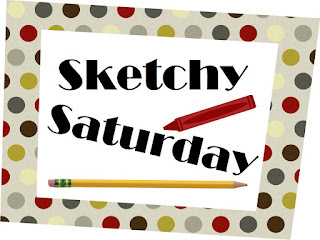 I love the sketches in this blog, mostly the multi photos ones. 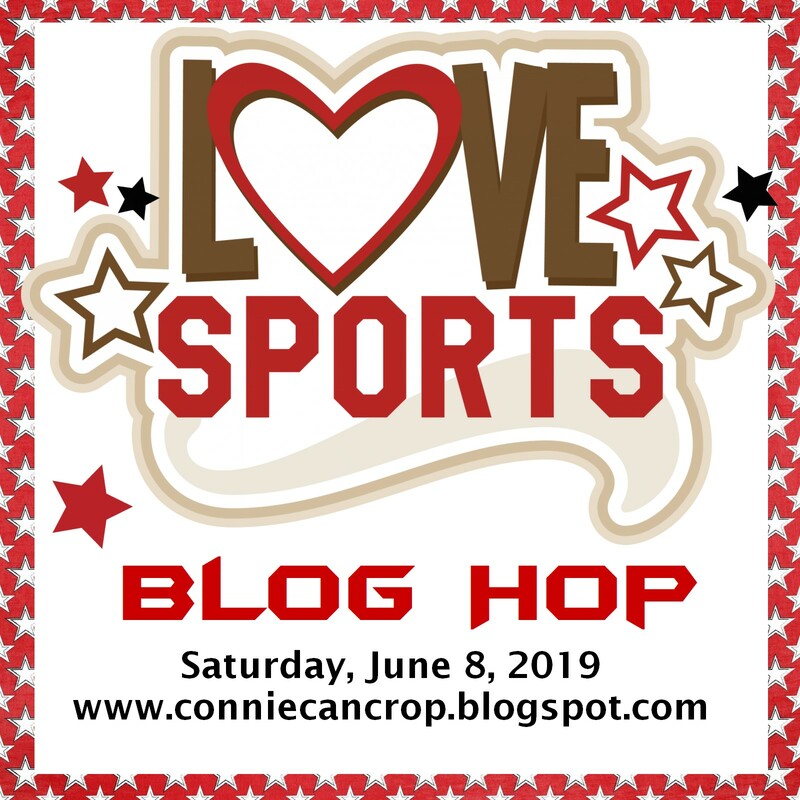 You should check it out when looking for inspiration. 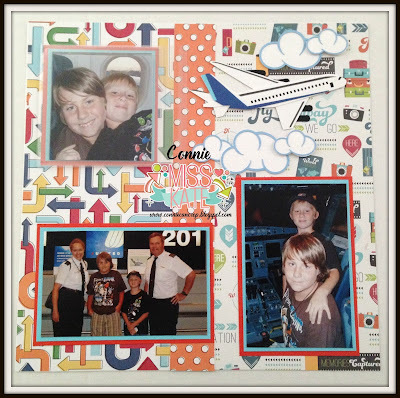 I will be posting later today more pictures at my blog: Vicky's Scrapping Passion, I hope you enjoyed this fun and easy to create scrapbooking layout. When I saw this card I knew I had to create it! Why? Because my stepmom loves chickens! So this one is being sent off to her! She will probably frame it! 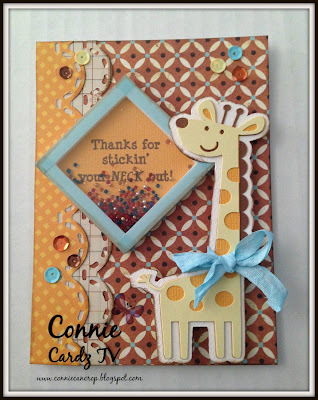 I just love the details on the background of this card! I added an older Close to my Heart paper pack, Jubilee and a cute flatback for flair! 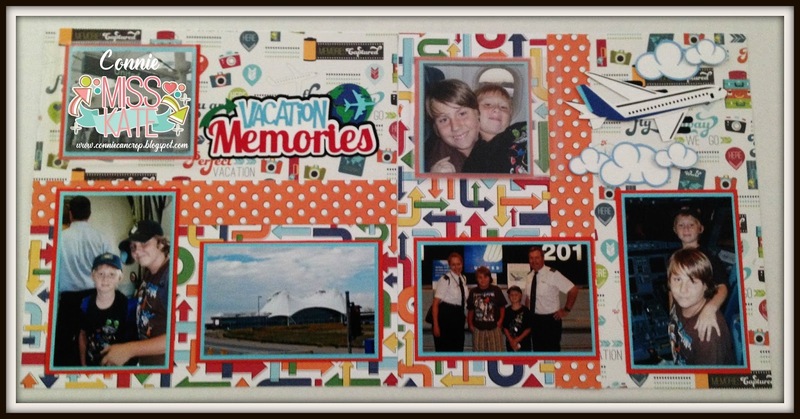 The file I used, Chicken Wire Frame, is created by PCW but is exclusive to the Pazzles Craft Room. 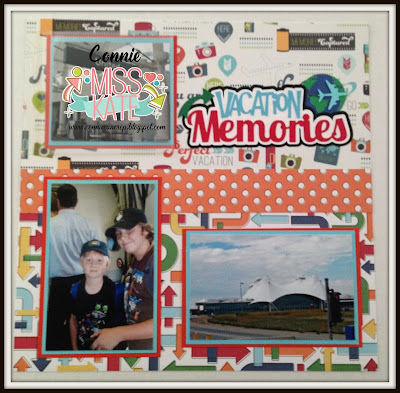 In keeping with the Travel theme this month at MKC, I created a vacation themed layout for you today! I really had a blast creating this layout and remembering the fun we had on this trip! For my project I used the Vacation Memories title and the airplane file. They both compliment each other really well in this layout. Lots of pop dots add dimension to these adorable die cuts. 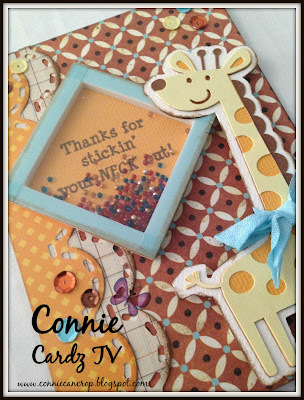 Notice the fun flip flaps from CTMH that I used. 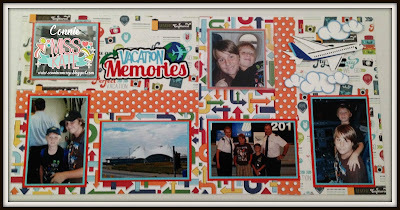 They allow you to add more photos to your layouts! 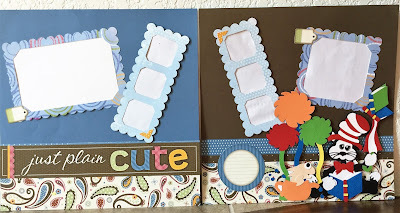 I layered two flip flaps to create this mini album. 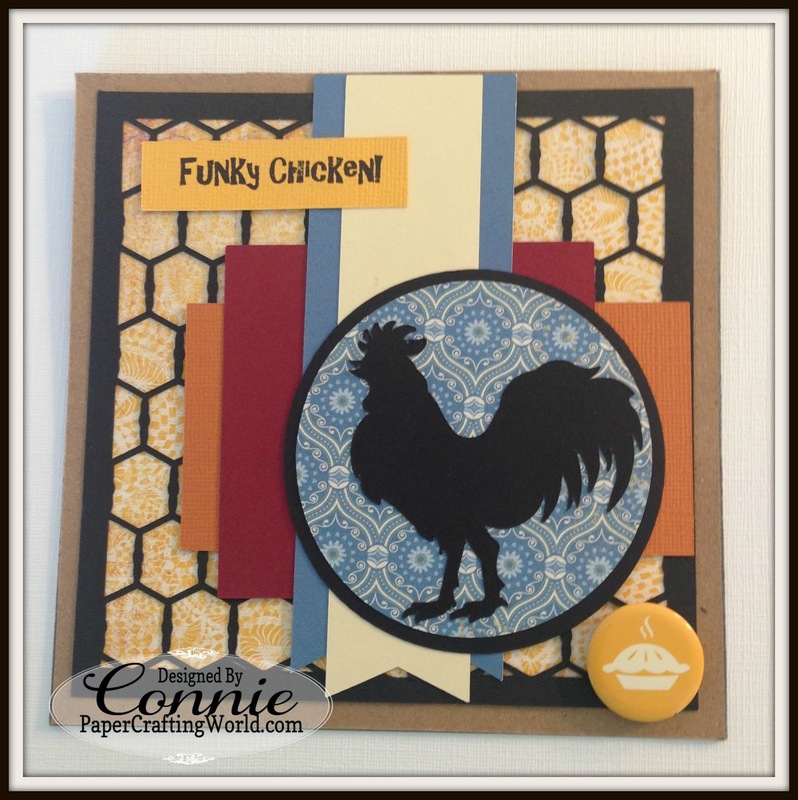 It's Connie here today to share a super fun layout I created just for the heck of it! No DT project for this just the sheer joy of wanting to finally bust open my Spongebob Cricut cartridge. I am so glad I did! The paper I used came from SandyLion. It was just perfect for my layout! 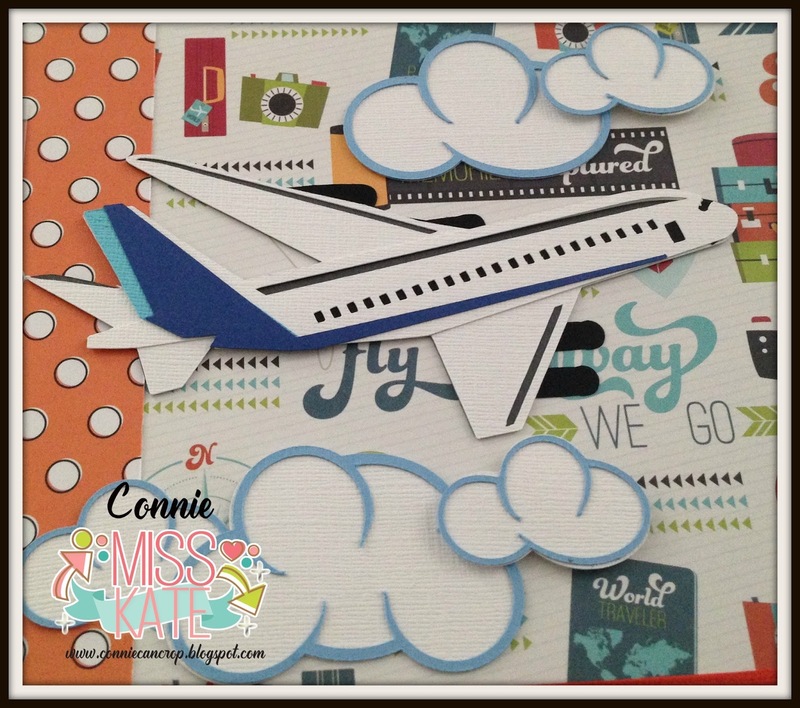 Of course I used tons of cardstock (11 sheets to be exact) and pop dots for extra dimension. Remember the old kids game, Telephone? You know the one where a secret is told to the first person in line and then they tell what they think they heard to the next person and they tell the next person and so on and so on. At the end of the line, the person says what they heard and the first person tells what they originally said and laughter erupts because the two things are nothing alike. Well today's hop plays that game, but with card making instead of secrets. 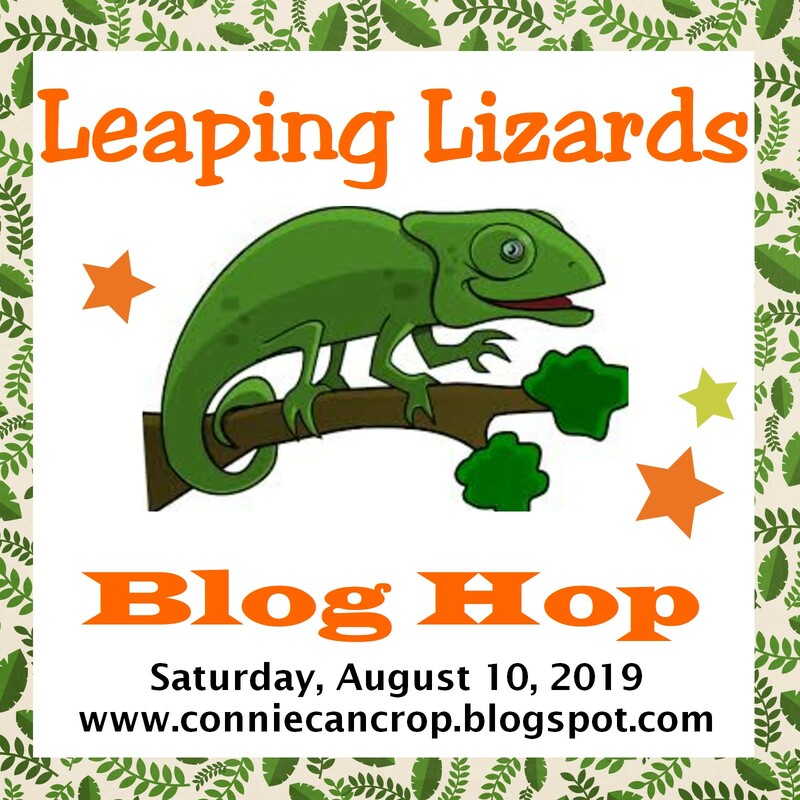 This hop is un-like any you've probably ever been too. We took one card created by Alicia and sent it to the next blogger who then C.A.S.E.d the card (copy and steal everything) and sent her card on to the next blogger who C.A.S.E.d it and sent her card to the next blogger. You get the idea. When you are done hopping you'll see how different or maybe how similar the last card is to the first. 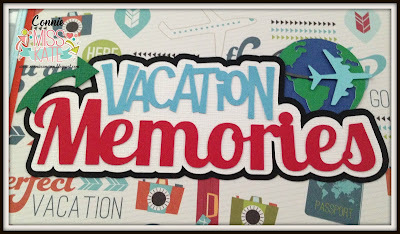 You should have arrived here from Alicia's blog. 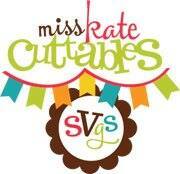 take 10% off any order placed through her (not available on website) by September 30th. I didn't have and dies to create the wreath so I used various stamps. I know you can't tell from the photo but I embossed some of the stamped images, just like Alicia did. I added flowers to the wreath and stamped my sentiment on the inside. Alicia's card has green sparkle so I wanted to create some sparkle on my card as well, rhinestones are always great for bling! Hope you enjoy my version! Time for another fabulous Friday! It has not shown any signs of fall here in South Florida yet!! I'm waiting patiently though! Hopefully in the next few weeks our weather will chill out a bit and give us a break! 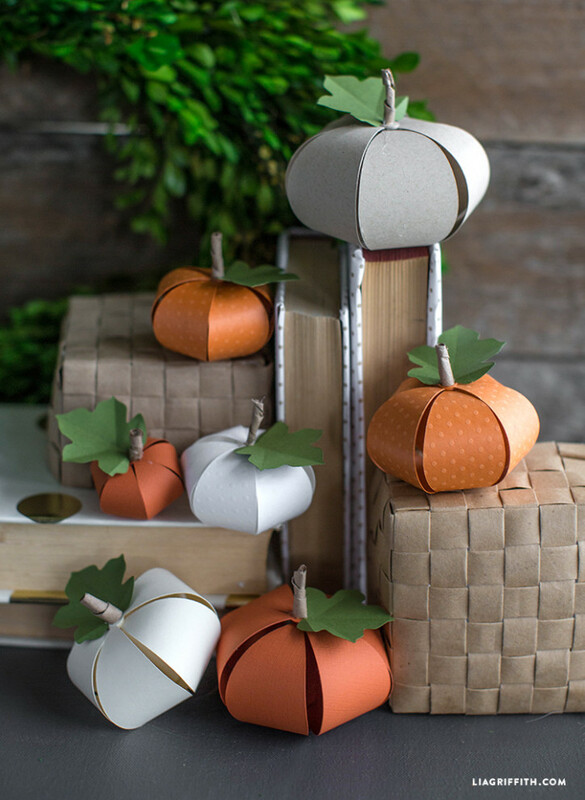 But I do love fall, and will be sharing lots of fun svg's the next few weeks all about fall! 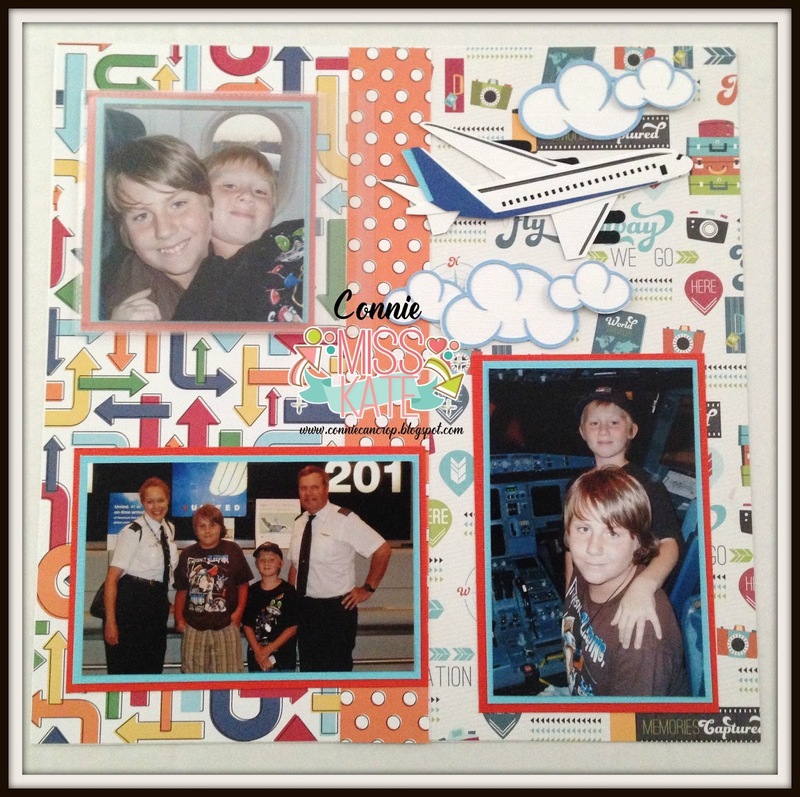 Don't forget to link up with Connies monthly challenge!